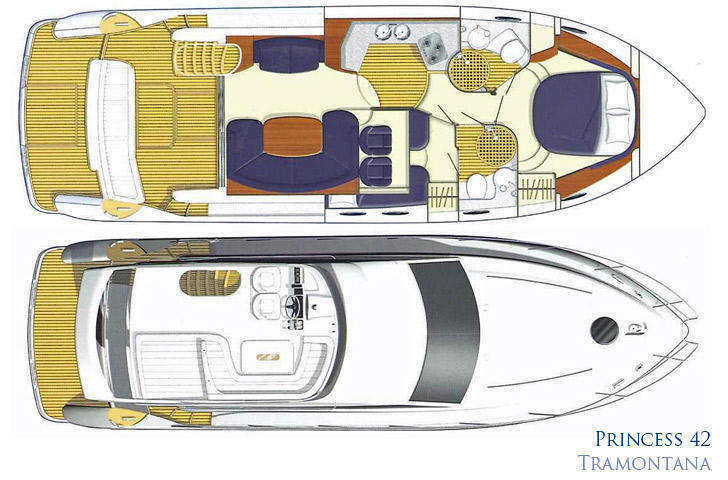 TRAMONTANA is a fab example of the evergreen Princess 42. 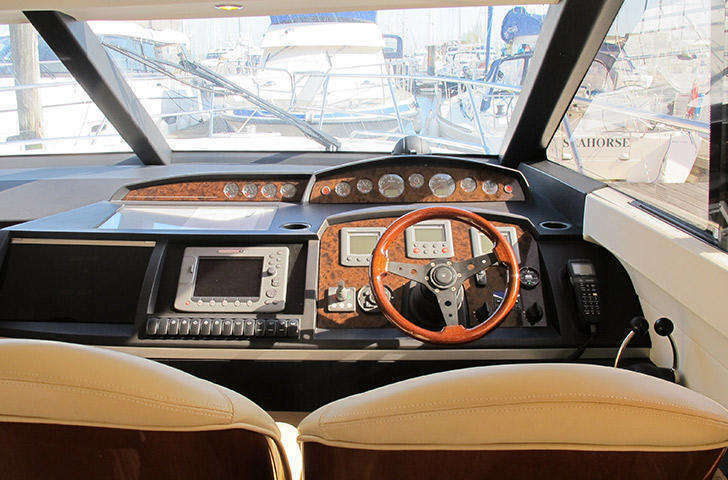 Built for her present Owners in 2007, other commitments have brought her to the market, and yes – her tachometers really do read only 57 hours run on her twin Volvo Penta D6 diesels! With a combined 870 horsepower, she has plenty of power when required, with the benefits of highly efficient fuel management and engine diagnostics. 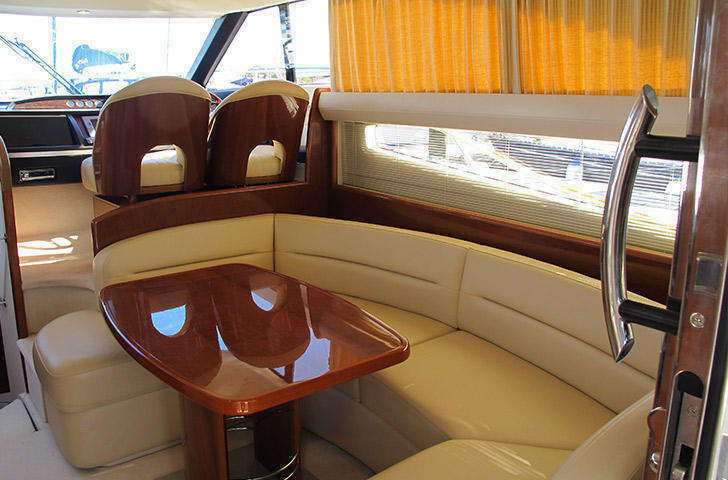 We know this motor yacht very well. 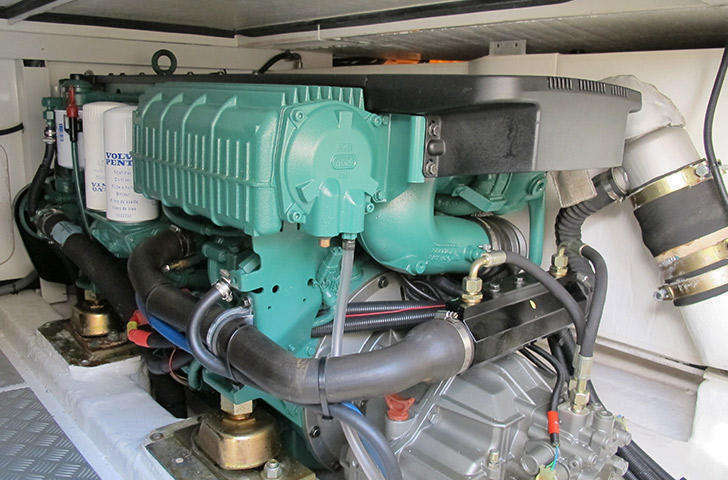 She lives here at Berthon, and she is annually serviced and winterised her for her Owners – even her batteries are removed and kept on charge by our technicians. She has evidently been very lightly used (around the Solent generally) with superb accommodation in two cabins – with 2 heads/showers – and a very convivial saloon and galley arrangement. 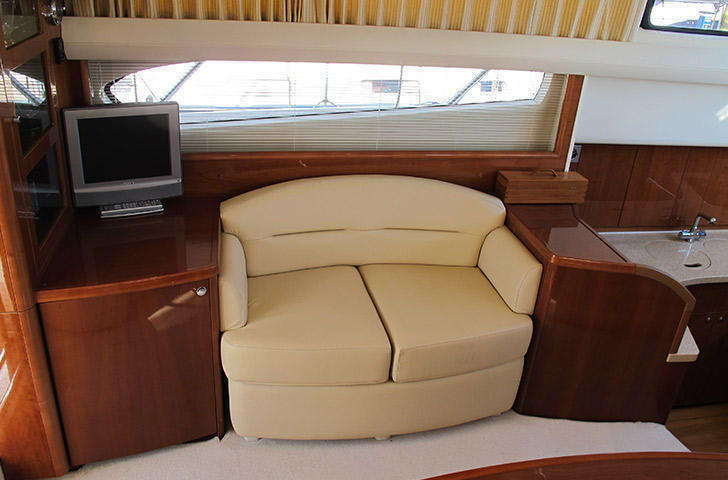 For those after a classic modern motor-yacht with fly-bridge and shaft drives, this vessel is hard to fault.